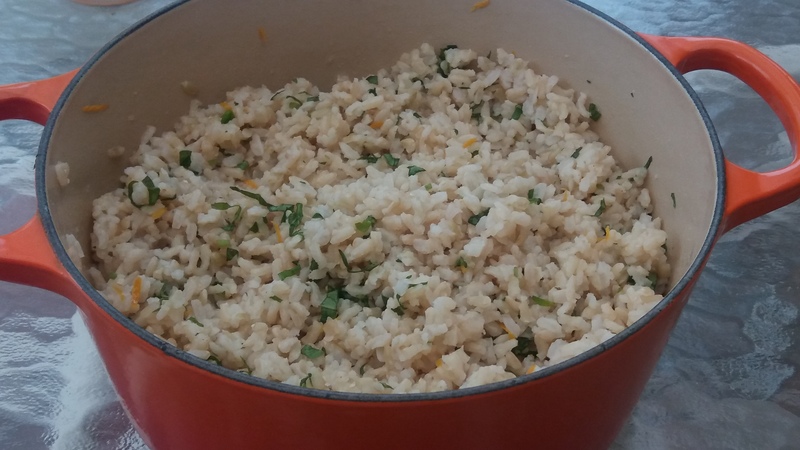 Just plain rice is fine but there are times you need a bit more pizzazz. This dish makes the light, fluffy basmati rice a bit more delicious. Place rice, water and a pinch of sea salt in a covered pot. Bring to boil and then simmer for about 20 minutes or until done. Let rice cool. In a small bowl, whisk olive oil, umeboshi vinegar, lemon juice, tangerine juice and tangerine zest together. Slowly pour this liquid over rice stirring throughout so rice is well coated. Add fresh cut basil and stir throughout rice. Serve.